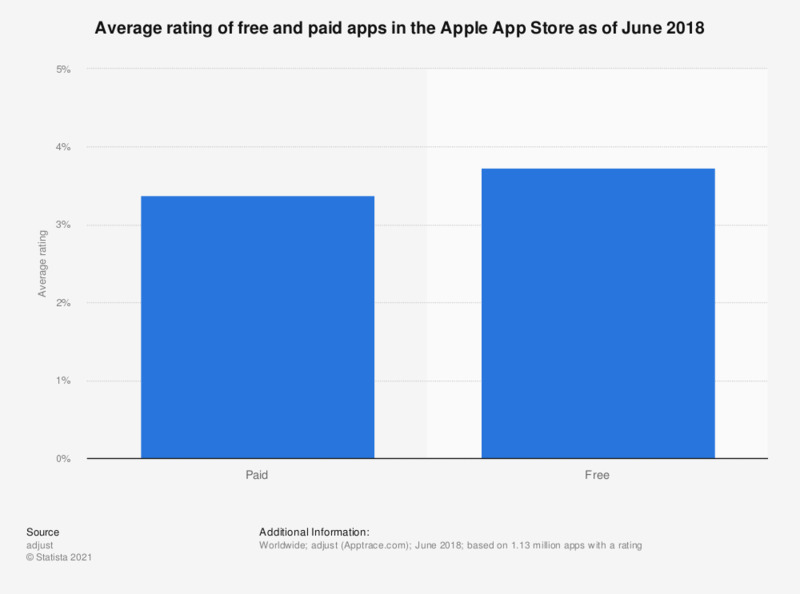 This statistic presents the average ratings of free and paid apps in the Apple App Store as of June 2018. As of the measured period, paid apps had an average rating of 3.38 out of 5 stars. Free apps had a higher average rating of 3.72 stars.